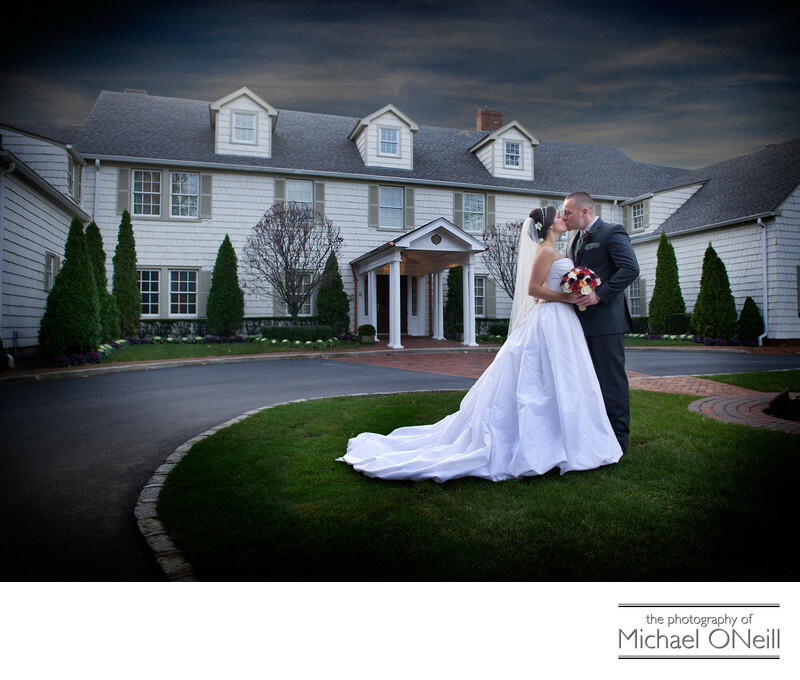 I can’t say enough about the Royalton Mansion at the Roslyn Country Club. Beyond a shadow of any doubt it is one of my favorite wedding reception venues anywhere. As a bride and groom you will have complete run of the estate as only one wedding on any given day takes place here. The estate features beautiful grounds for outdoor environmental photographs and the interior has photo opportunities that can be found nowhere else. Rising from the main level to the second story is one of the most beautiful spiral stairways that you’ve ever seen. An awesome wedding picture of that stairway appears elsewhere on this web site. The beautiful lobby is overlooked by a free-form second story balcony where an elegant rich wood-paneled cocktail hour room is located. The service here is impeccable and the cuisine is first class. And did I mention it is a photographer’s paradise? Give me a call if you are planning a Royalton Mansion wedding (or a wedding at any of Long Island’s other famous Gold Coast estates). I’ve worked at them all and would love to be considered to be a part of your big day.